Celebrities love to hate Donald Trump. Bashing the president allows them to feel self-righteous. Now one musical legend is attacking Trump for a crazy reason. Leftists are determined to infuse their politics into every facet of society. At liberal arts colleges, leftists outnumber conservatives 50 to 1 or greater in many disciplines. This gross imbalance leads to a strong tilt to leftist radicalism. These are the professors teaching waves of students across the country. And it’s now trickling down to grade school. The left has also captured entertainment. Outside of a handful of open conservatives, people in music and film hide their beliefs for fear of being blacklisted. This gives the left a near-monopoly on controlling influence on the culture. A big example of this is The Beatles. The group popularized drug culture in the late ‘60s and early ‘70s. John Lennon’s “Imagine” also romanticized a socialist utopia with no borders. And Lennon’s bandmate Paul McCartney is still influencing the culture with his music. 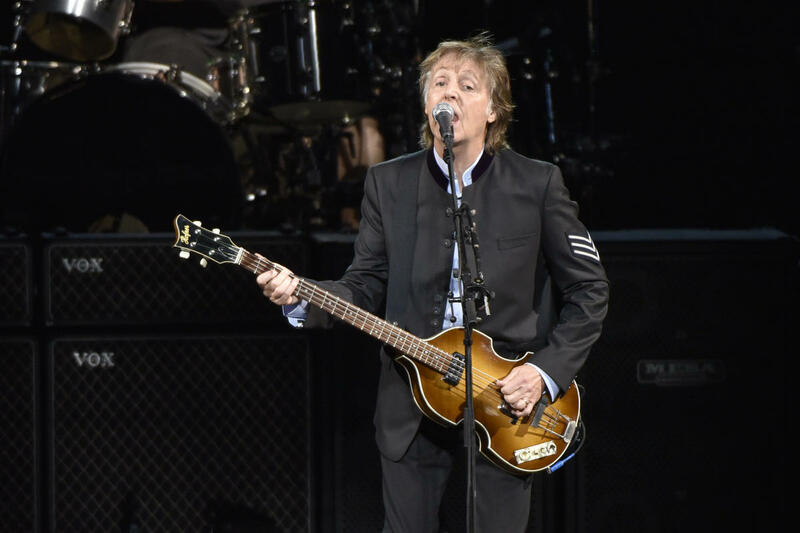 McCartney has a new album that takes a shot at Trump. McCartney’s gloom and doom is commonplace on the left. These are the scare tactics they’ve been using for years. It doesn’t matter that all of their predictions have been wildly off. Some scientists said we would be under water by now. Others said we were approaching a new ice age. Other scientists said all of the world’s oil would be gone by now. These models have been wrong almost every single time. They’ve cried wolf too many times. The latest climate alarmism is no different. Scientists don’t know to what extent humans are responsible for global warming. And nobody agrees on a practical solution. For McCartney to blame Trump is ridiculous. Leftists love ringing the bell about climate change. But they don’t seem all that concerned. Gore and other celebrity hypocrites leave an enormous carbon footprint with their private jets and energy consumption. The real reason behind the climate scare tactics is state control of the economy. After the fall of the Berlin Wall, many dedicated communists moved into the universities and other organizations. Environmental groups were a big target of the far left. They even had a name: watermelons. That meant they were green on the outside, and red on the inside. That provided the left an opportunity to take over business. Regulations on business continued to grow. Barack Obama instituted many business-stifling regulations during his presidency. And the left wants to go further. Supposedly they want complete control of business. They also want massive tax hikes to subsidize green boondoggles. Never forget that behind every leftist policy looms higher taxes and more regulation. They’ve never met a problem that couldn’t be addressed in this way.